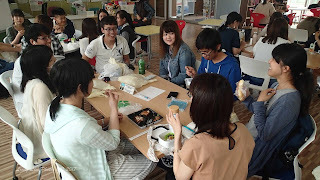 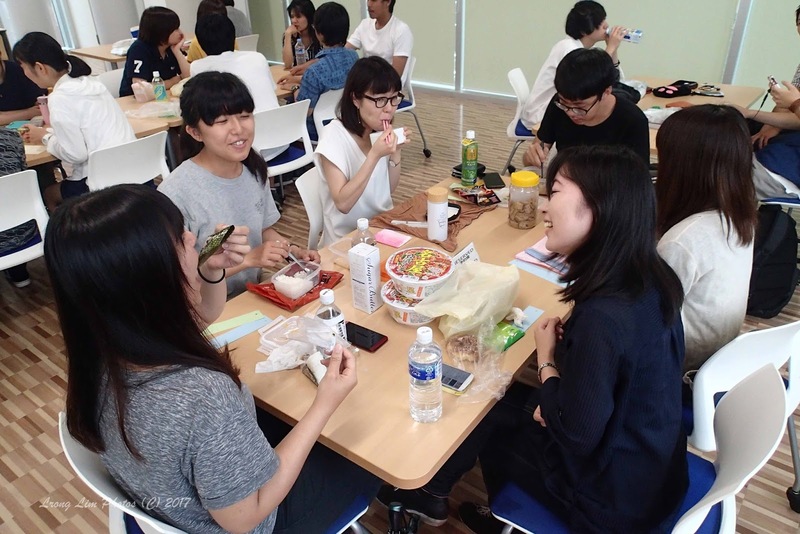 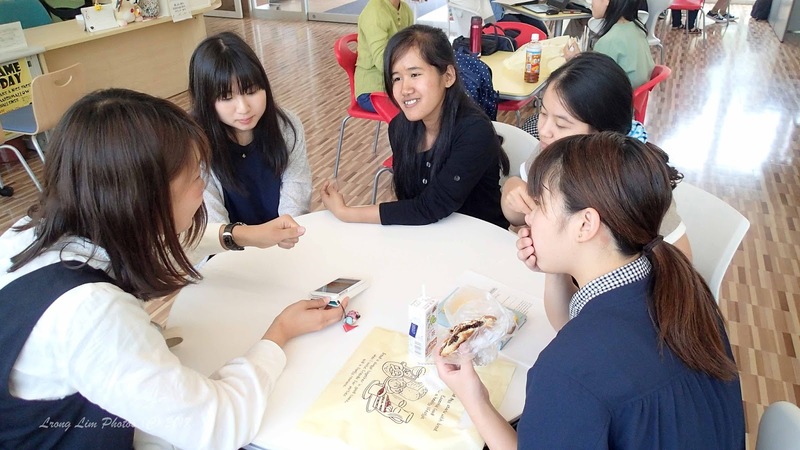 This is a new event that we have planned for international students and Japanese students. 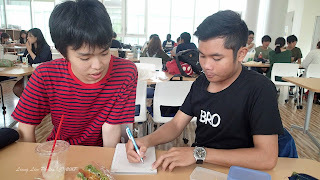 The idea is simple: each one teaches the other one's language. 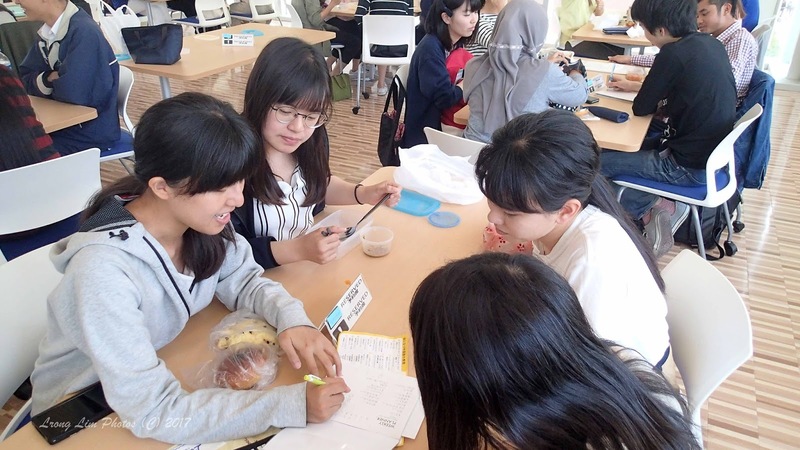 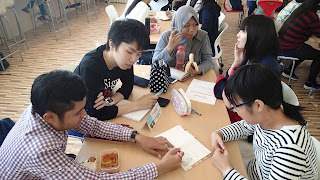 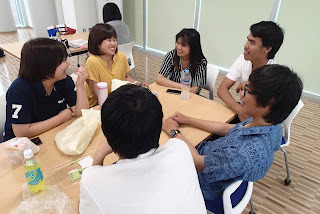 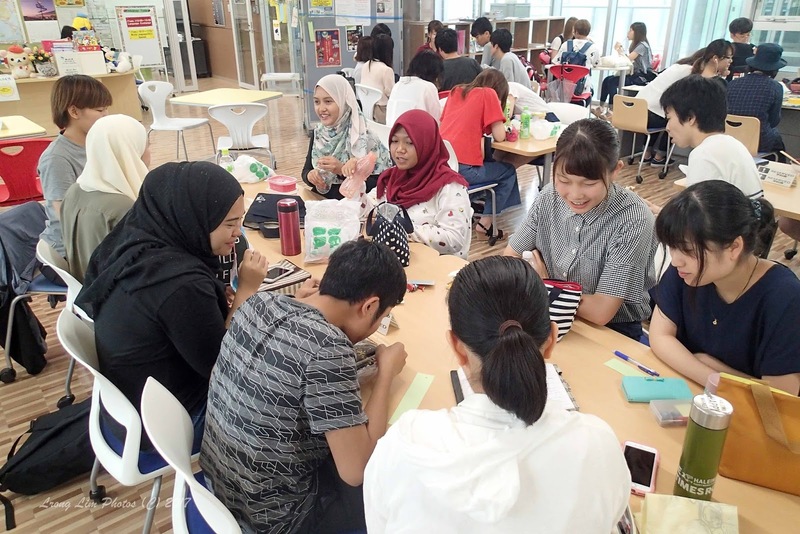 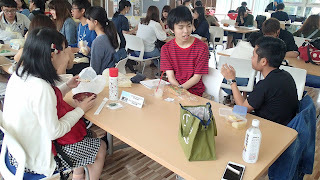 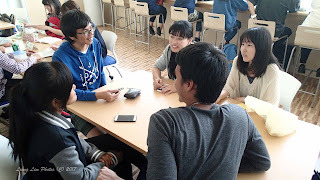 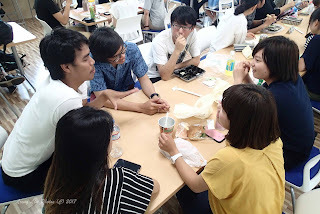 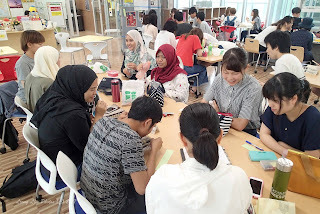 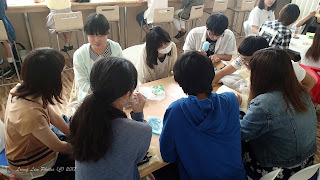 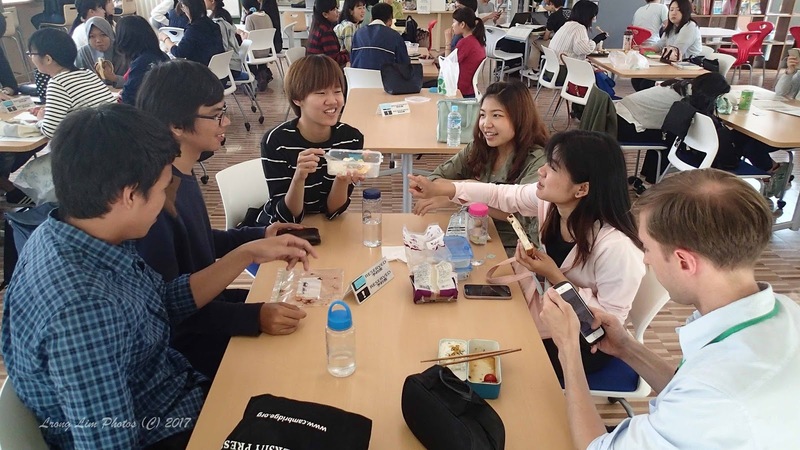 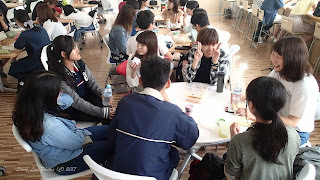 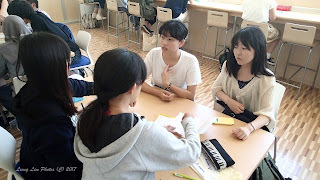 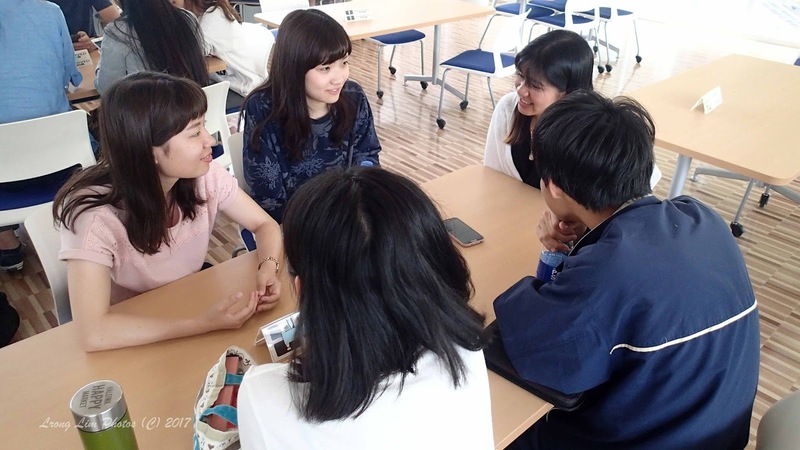 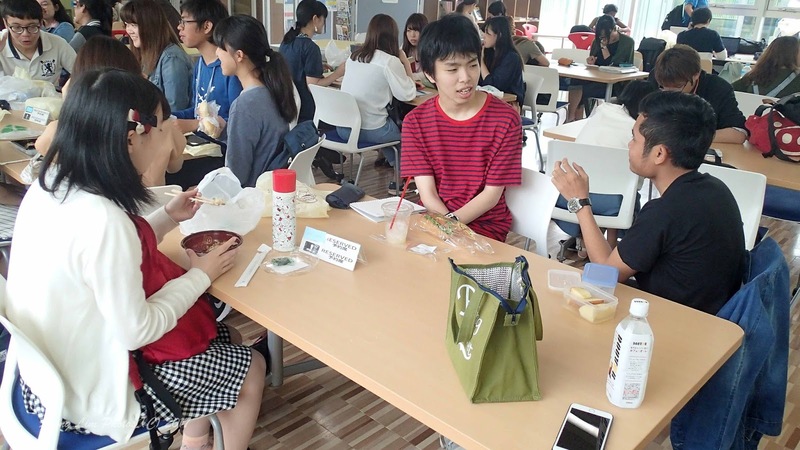 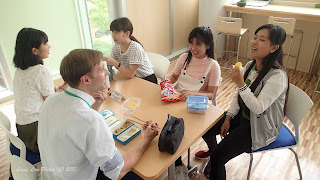 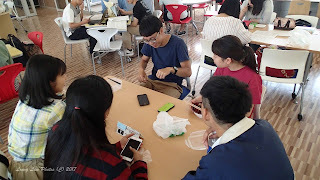 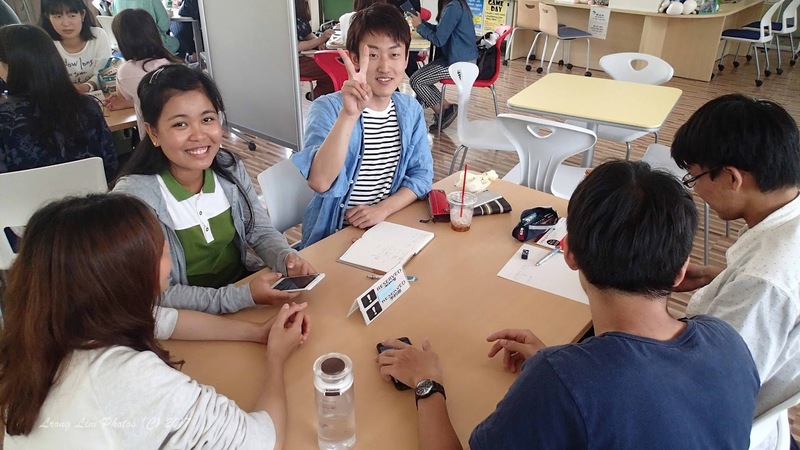 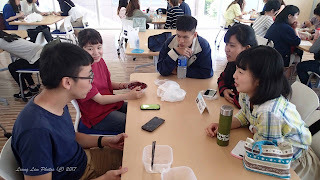 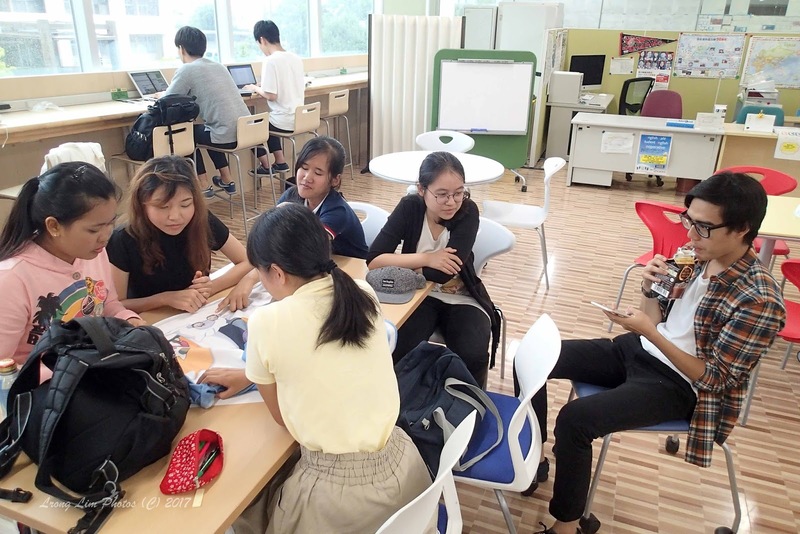 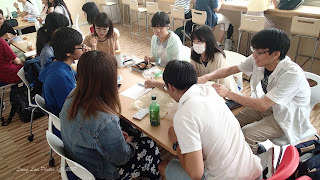 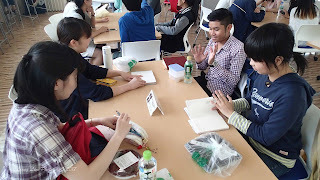 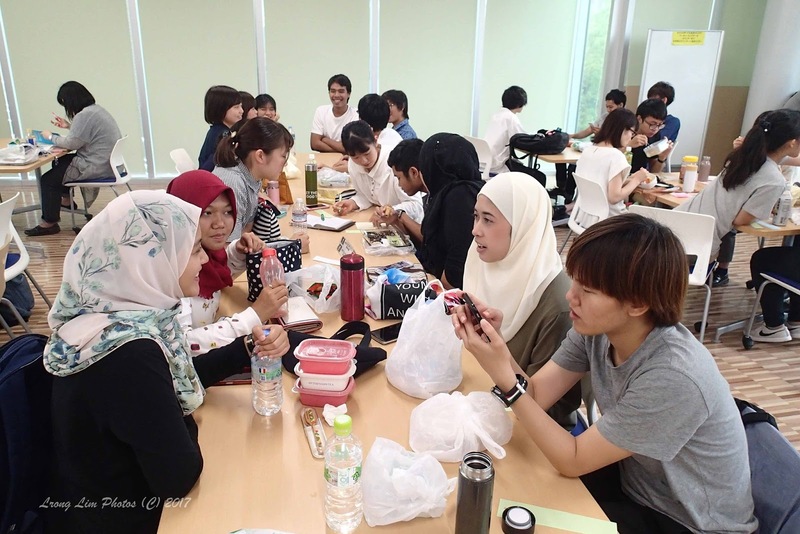 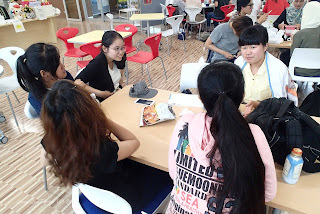 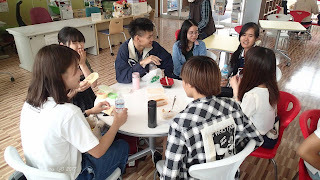 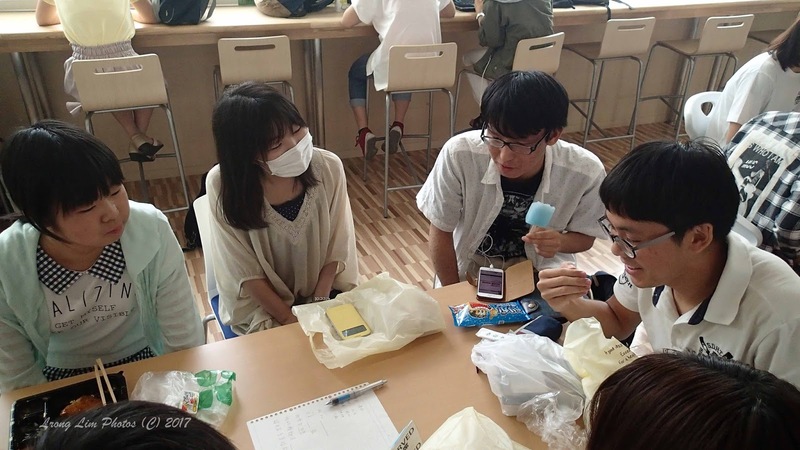 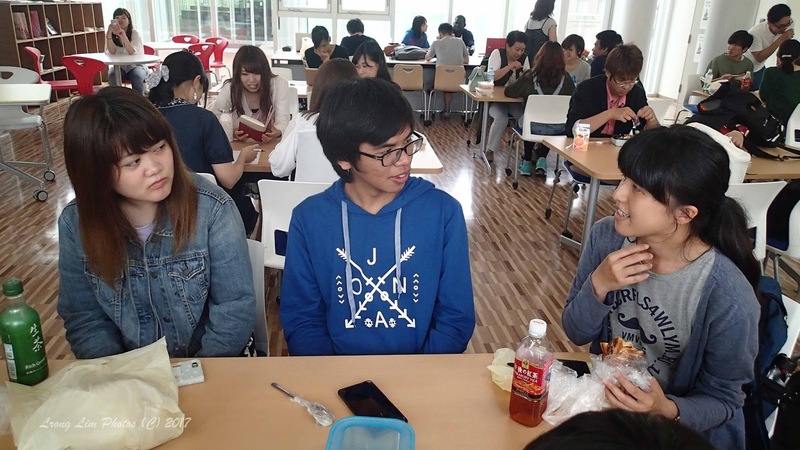 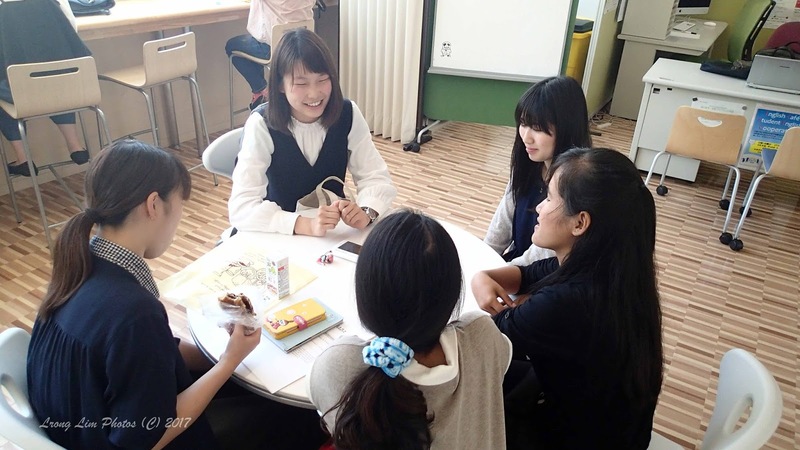 So, we get international students teaching Japanese students their national language and in return, Japanese students teach international students Japanese language. Students come with their lunch boxes and drinks, so there is very little preparation needed.